SURIGAO CITY—The Surigao Runners Club (SRC) together with South Seas Vision CATV joined forces to stage the “RED TIE RUN 2012” on December 1 to advocate HIV/AIDS Hope Awareness. 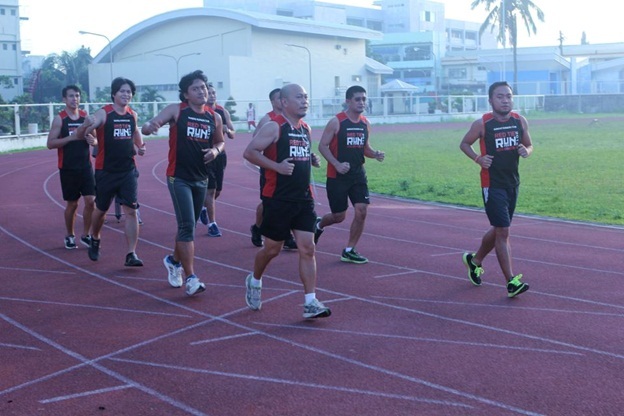 SRC started last Oct 17, 2012 as the first running club in the city and they are currently promoting health and wellness to running fanatics, engaging others to participate and actively run for healthy and lively lifestyle. Atty. Macarine and the rest of SRC officers had run in various running events in different places in the country and now they are registered and ready for the Cebu Marathon 2013 and the Condura Run on Feb 3, 2013. The race will feature 3-kilometer, 5k and 10k categories. For sign ups, you may register at PLDT Philcom Office and Skin Solutions Gaisano Capital Suriga. Or you may visit SRC Facebook Page for online inquiries. The activity is sponsored by the Surigao City Government, Alemark Industries, MDV, NYER Petron Station, Nature Spring, Real Radio FM 104.7MHz, CHP, KUMON, BBPress, Coco Cabin, Club Alcatraz, Skin Solutions, Premier & Oasis Purified Drinking Water, SRBC, JETTI Petroleum, IRax Videography, New Copraland Marketing and Surigao Medical Center.